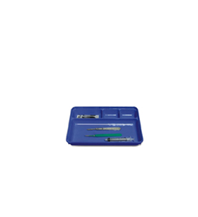 SAFE-LOK safety scalpels designed to provide utmost safety to health care provides from sharp edge related injuries. 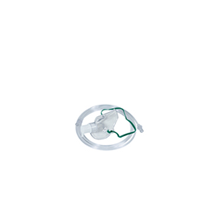 Its is compliant with the US OSHA and European Directive on prevention od sharp Injuries. 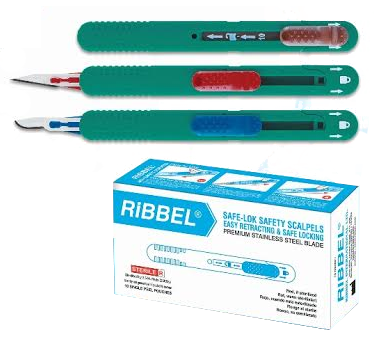 Ribbel ergonomic safety scalpels comes with Sharp stainless steel blades in various sizes for the highest quality performance. 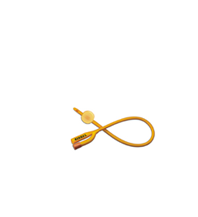 Work Practice Controls means controls that reduce the likelihood of exposure by altering the manner in which a task is performed (e.g., prohibiting recapping of needles by a two-handed technique). Or as the Europeans define it- Safe Systems of Work - specifying and implementing safe procedures for using and disposing of sharp medical instruments and contaminated waste. These procedures shall be regularly reassessed and shall form an integral part of the measures for the information and training of workers. 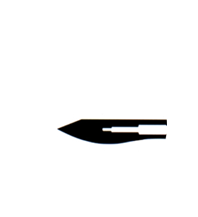 Since 2001 the revised OSHA Bloodborne Pathogen includes Sharps with engineered sharps Injury protections as part of Engineering Controls, but it is important to know the difference in order to design an optimum Sharps Injury Prevention programme and to identify the risks, and therefore the opportunities, for sharps injury prevention. This is especially true from a European standpoint where the distinctions are not as clearly made. Examples of Engineering Controls relating to prevention of scalpel blade injuries would include the use of sharps disposal containers ( yes, scalpels with engineered sharps injury protections should also be disposed off in sharps disposal container) and the use of ultrasonic cleaners for cleaning reusable scalpel handles. 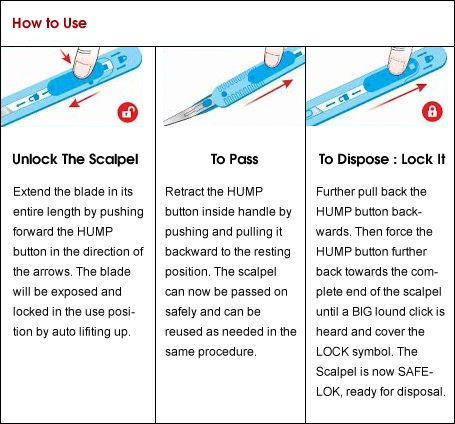 Examples of Sharps with Engineered Sharps Injury Protections are Round-tip scalpel blades, reusable scalpel handles that allow touch-free removal of blade as well as disposable scalpels with retractable blades or protective guards.